“My daughter and I saw a featherless bird without a tail on Saturday 09/27/2014 between 10 am to 10:15 am. The sighting was about 3-4 seconds. I spotted the creature first and told my daughter “hey what’s that.” She caught 3 seconds or so of it. My daughter knows birds and she can tell you about birds in good detail. 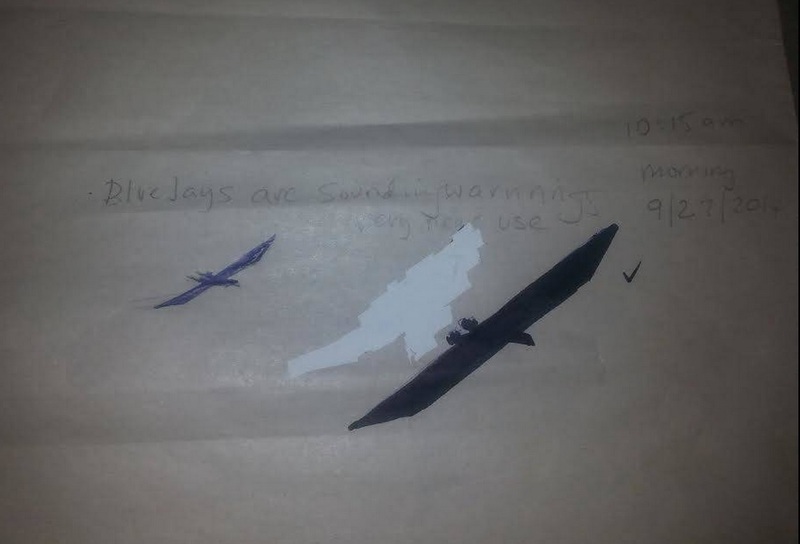 She told me that the bluejays were sounding an alarm call at the time. It was a clear beautiful day. Maybe a few fluffy clouds here and there.There was no flapping and it flew (glided) from SE to NW towards the Stinchcomb Wildlife Refuge. It looked black or dark brown. It had no tail but the feet were behind and I thought you could see toes or knuckles pointing up. If you put both of your hands like open fists straight behind your back – that would be like it. The feet were in line with the wings from my angle. I did not get a good look at the head and so I am not sure if it had an appendage or bump on the back but it gave me the impression it had some thing but it was not obvious. It seemed big – between 6 – 8 ft maybe. It wasn’t a hawk or a vulture. I would say it was 2 1/2 times bigger than a adult vulture. It was about 60 Feet away. If you look straight ahead and lift up your right arm and raise it above your vision (where you can no longer see it without moving you head) that would be the angle. I thought they did a very good job with the descriptions, especially with the sketches, and thank them for coming forth with their sighting. 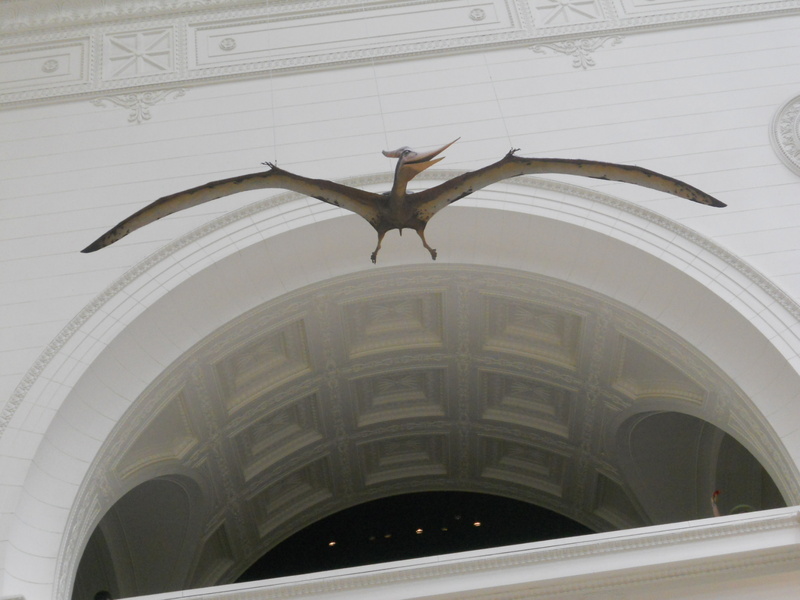 This one is a shot I took of the pterosaur reconstruction at Chicago’s Field Museum. There are many known varieties of the order Pterosauria, which lived during the Cretaceous and Jurassic periods.